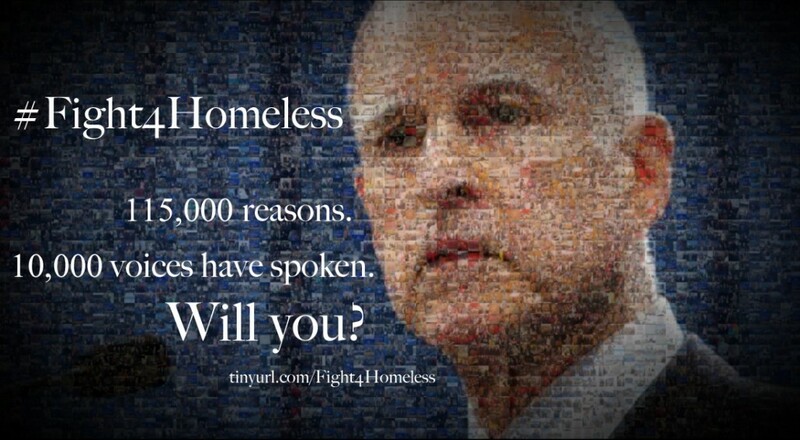 In just one week’s time, over 10,000 Californians signed a petition calling on Governor Jerry Brown to declare a state of emergency in California, due to the pervasive and deepening homelessness crisis. The letter with 11,370 signatures was delivered to the Governor on Monday evening. The petition’s comments resonate with compassion, frustration, idealism and moral indignation. Supporters’ reasons for signing the petition are as varied as California itself. To scroll through the hundreds of comments posted is to encounter those who are currently or formerly homeless, or desperately worried about loved ones and fellow human beings living without a roof over their heads. Some say they’re frightened, heartbroken, moved to action or overwhelmed by what they see around them in their communities. They all agree– enough is enough. On any given night in Los Angeles County, there are nearly 47,000 homeless people, including 6,000 parents and their children. Nearly two-thirds live in the City of Los Angeles. Statewide, there are more than 115,000 homeless people – 21% of the entire nation’s homeless population. From Compton to Coronado, Santa Fe Springs to San Francisco, Long Beach to Lompoc, more than 10,000 people in Los Angeles County and throughout the state realize there is a crisis of homelessness. The Board of Supervisors, acting on a motion by Supervisor Mark Ridley-Thomas and Sheila Kuehl, voted unanimously to urge the governor to declare a state of emergency. “I’d like to invite him (Gov. 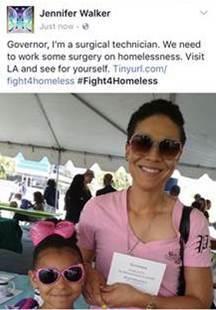 Brown) down to Los Angeles,” said Supervisor Ridley-Thomas in an interview with the LA Times while visiting Sacramento this week, his fourth trip in four weeks regarding homelessness. The Board of Supervisors is seeking a resolution from the Assembly and Senate urging the governor to take action. “I strongly believe that we have a historic opportunity to act now,” said the Supervisor in a letter to the governor following his second trip to Sacramento. “I again invite you to tour with me..” he said in a follow up letter June 23. L.A. County residents from various professions have responded and invited the governor for a firsthand look at the crisis. “Governor, I’m a surgical technician. We need to work some surgery on homelessness. Visit LA and see for yourself,” wrote one resident on Facebook. Supervisor Ridley-Thomas voiced the urgency on behalf of thousands of Californians. Here are some voices in the conversation. Some of the comments have been condensed.